I don’t know Ravi Shastri the cricketer as much as Ravi Shastri the everythinginindiancrickettoday, For most periods, the all knowing BCCI loyal commentator. He is now the Director of Cricket for the Indian cricket team in England for the ODI leg, to cover the dismal display in the Tests. But that is not all, he is much more than that. Ravi Shastri has been promoted to head the All India Football Association, and the previous head will be reporting to Ravi Shastri. This move is to make sure that India make it to the next Nehru Cup finals and win it. Ravi Shastri will replace Nasser Hussain as the English expert for the next Pataudi series, so there is no anti-BCCI sentiments in the BCCI commentary box. Mr. Shastri has always promoted peaceful processes in cricket. 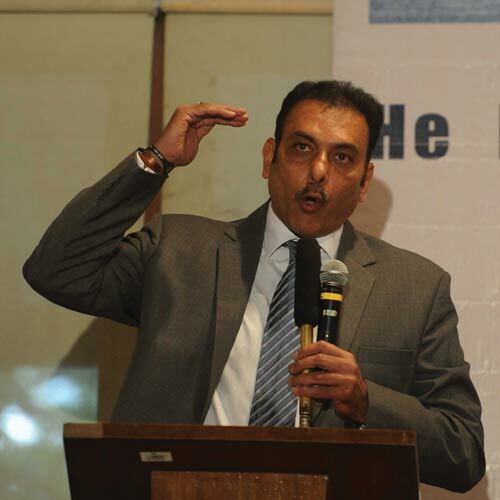 Ravi Shastri will be sent by the United Nations to bestow peace between the Palestinians and the Israelis. In the speech given while taking up the task, Mr. Shastri mentioned that an extra long presentation ceremony with dignitaries and honorary members from both nations at the dais will create harmony between the two nations. Also, to show that all nations are equal, a man-of-the-match will be selected from both sides and will be given an IPL contract too. Ravi Shastri has also signed up for the next Batman sequel. “Dark Knight : Rises Up In the Air”. He will be driving an Audi through the streets of Gotham and saving the city from the darkest third umpires and match referees. He is not the man that Gotham deserves, or needs, but gets. Just like that other situation that got Ravi Shastri. Ravi Shastri will also start a fund raiser to promote the sport in the suburbs of Indian metros, because the game really needs all it can to stay popular there. “The kids have resorted to football and weightlifting and boxing after the recent football World Cup and CWG and the movie on Mary Kom. It is our duty to bring the game back by investing some funds to this much needed locality.” You can buy your own “I ❤ BCCI” tees from their website and donate to the noble cause. To know more about Mr. Shastri’s roles watch him talk about it himself as he hosts the show Kaun Banega Crorepati?. This entry was posted in IPL and tagged BCCI, Cricket, Humour, India, ravi shastri. Bookmark the permalink. The Bangladesh fielders knew it. Rohit Sharma knew it. The 50,000 people at the MCG, who saw it on the giant screen, probably knew it. Millions watching at home, offices, outside TV showrooms and paan shops with the benefit of commentary, knew it. You’d guess that even the umpires knew it. The no-ball full toss that Rohit had hit down the throat of deep midwicket was not a no-ball. It was only waist high when he met it in front of his body, and was on its way down. Rohit was on 90 then. He went on to score 137. Every beautiful shot he hit after the reprieve brought reaffirmation that that error could have been corrected. It was a human error – a quick one at that. Normally, in such cases, you see the two on-field umpires come together for a conference and then predictably go to the third umpire. Here, it seemed Aleem Dar at square leg raised his arm almost immediately, and Ian Gould, at the non-striker’s end, had his up in seconds. What jarred most was that the replay was shown on the big screen, and there was enough time to overturn the call. Mashrafe Mortaza contested the decision briefly with Gould but to no avail. After the match, he couldn’t hide his disappointment but refrained from making a comment. “You all saw what happened,” he said, shrugging his shoulders. Mortaza was right. We all saw replays of what happened. The umpires saw them too. Yet, Bangladesh couldn’t do anything about it. With the evolution of broadcasting, technology has become integral to the game. Expensive tools have been developed to correct umpires’ errors. The DRS has come in. Umpires ask for help from TV umpires all the time, be it to double-check a back-foot no-ball when someone has been dismissed, or to see if a catch has been taken cleanly. Almost every run-out or stumping appeal is resolved by the TV replays. The dismissals of Mahmdullah and Tamim Iqbal later in the night, for example, were checked on TV. The ICC protocol, though, suggests that a no-ball can be checked only if there has been a dismissal. For otherwise, there will be no end to the stoppages. In this instance, thanks to the error by the on-field umpires, there hadn’t been a dismissal. Yet it is absurd that had Bangladesh not exhausted their review, they could have challenged many other aspects of a decision, but not an error so obvious and apparent. If an umpire’s assessment of an lbw can be questioned, why not the no-ball? Not a front-foot no-ball, which the bowling side is in no position to judge, but one on height, which is visible to all the fielders. The idea behind not being allowed to challenge front-foot no-ball calls might be that the batsman might have played a certain shot after having heard the call, but surely no umpire can call a high full toss a no-ball before it has reached the batsman? Surely Rohit, in this instance, didn’t play the shot based on its being called a no-ball? There is no good reason why such calls can’t be challenged if the team has a review up its sleeve. This is not the first time in this World Cup that the umpires have attracted unwanted publicity. Dar was one of the umpires when James Anderson was ruled run-out at the same venue when the ball should have been ruled dead on an lbw review. Nobody in the officiously named Playing Control Team (PCT) – on-field umpires, third umpire, fourth umpire, match referee – enforced the protocol. Here, the protocol itself was proven wrong. In both the cases we were made to live with decisions that were silly. In one case, a batsman was denied a World Cup century. In another, an underdog team was denied a chance at dragging back the stronger side just when it had begun to break away. 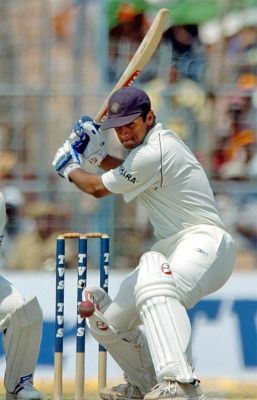 get a latest world wide sports news,such as tennis or basketball or football and cricket many people play latest cricket newswith their friends.